Not exactly flirtatious, certainly not sweet the Privé Day Bed guarantees sensuous drama. Exquisite flora inspired details adorn this highly seductive piece. 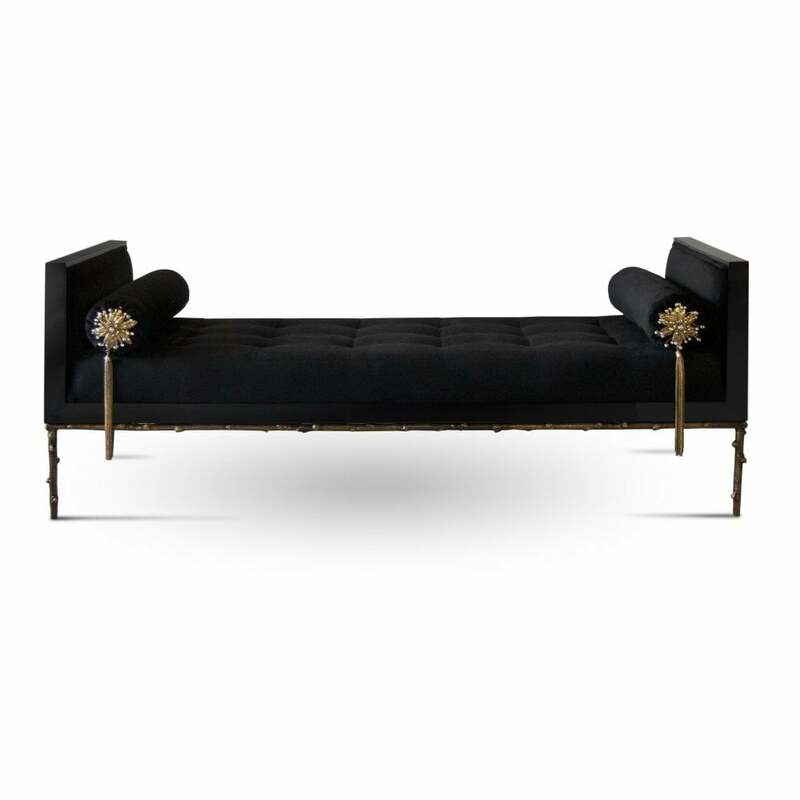 A delicate branch-like base, stunning bronze & crystal jewelled bolsters, sumptuous soft tufting make this an utterly desirable piece. Upholstery: KOKET Fabric Collection; or COM (POA). Feet: Antique brass or stainless steel. Jewel: Available with or without 4 Floral Jewels in polished brass.